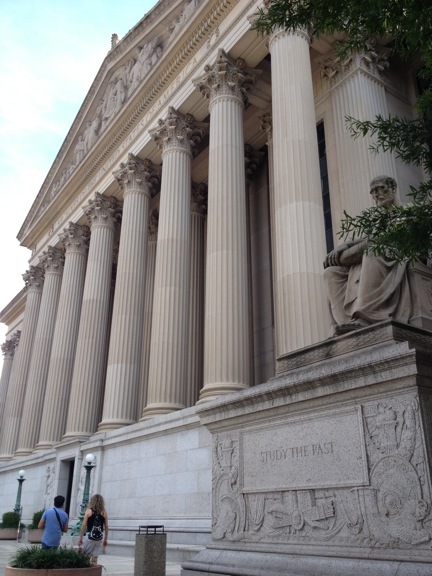 I finished up what I needed to finish up at the National Archives in Washington, DC today, and I thought I’d post just a couple photos of this spectacular building. Within this building is an incredibly helpful and friendly staff, all of which is used to house and protect historical documents both foreign and domestic. These documents — hand-written memos, notes, and journals, and beyond — allow us insight into yesteryear, ever helping us develop a kind of deep culture and a philosophical and psychological connection and tension with the past. I’m glad my tax dollars go toward this institution. The hand-written docs I worked over today further humanized what we often read about in text books and historical narratives. I’ll try to remember to blog on those points later. For now, here are a couple photos. East elevation of the National Archives. 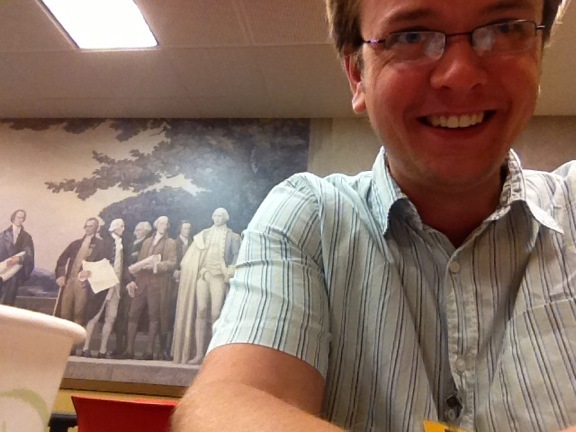 Sipping on coffee and waiting for my documents to be retrieved with a bunch of dead Anglo-Americans behind me, this in the basement cafe of the National Archives. 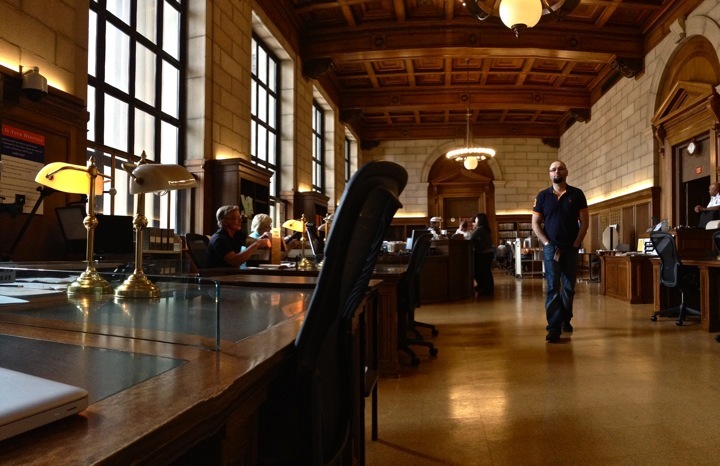 The 2nd floor reading room of the National Archives. This entry was posted on Wednesday, August 21st, 2013 at 4:35 pm	and tagged with DC, Libraries, National Archives, Washington and posted in Uncategorized. You can follow any responses to this entry through the RSS 2.0 feed. Aaron, may I clip and save that photo of the east exterior to my computer? I love the motto.